As you head off for summer vacation, as a parting gift to you all, your student, faculty and staff colleagues have put together a list of great fiction and non-fiction summer reading! 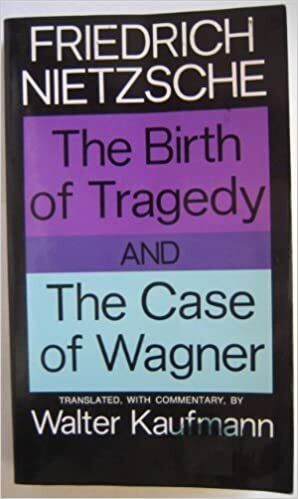 The birth of tragedy, and the case of Wagner. by Nietzsche, Friedrich Wilhelm, 1844-1900. From description: """The Birth of Tragedy (1872) was Nietzche's first book. Its youthful faults were exposed by Nietzche in the brilliant ""Attempt at a Self-Criticism"" which he added to the new edition of 1886. But the book, whatever its excesses, remains one of the most relevant statements of tragedy ever penned. 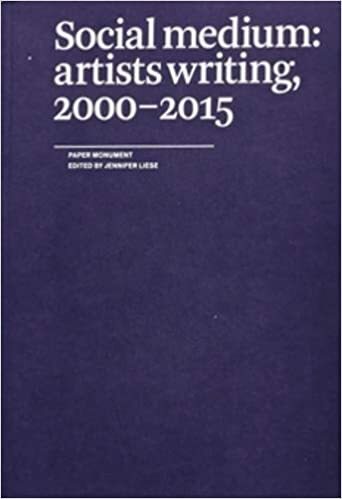 Social medium : artists writing, 2000-2015 by Liese, Jennifer, editor. "The most talked about book in Anthropology this year, ""Mushroom at the End of the World"" is a book about matsutaki, the world's most sought after fungi. It is also a story about what manages to live in the ruins we have made. ""A tale of diversity within our damaged landscapes, The Mushroom at the End of the World follows one of the strangest commodity chains of our times to explore the unexpected corners of capitalism. Here, we witness the varied and peculiar worlds of matsutake commerce: the worlds of Japanese gourmets, capitalist traders, Hmong jungle fighters, industrial forests, Yi Chinese goat herders, Finnish nature guides, and more. These companions also lead us into fungal ecologies and forest histories to better understand the promise of cohabitation in a time of massive human destruction. ""What if the nightmare imagined by George Orwell in 1984 were real? What if you had to live in a country where radio dials were fixed to a single government station? Where the surroundings were entirely black-and-white except for the red lettering of the propaganda signs? Where you were required to keep a large portrait of the president on your living room wall and bow to it on national holidays? Where sexuality was repressed except for purposes of reproduction? Where spies like Orwell’s Thought Police studied your facial expressions during political rallies to make sure you were sincere not only in your speech but your thoughts? "Interesting read on how one's perspective shapes what they see. Alexandra Horwitz takes walks with 11 people in her Manhattan neighborhood, from famed illustrator Maira Kalman, a geologist, a sound designer, a child, and a dog to see the world as they perceive it. A great read for artists who are interested in other people's experiences and exercises on observation. "What is human consciousness, where did it comes from, and what is its place in the material world? These are questions that have puzzled mankind for centuries, and here presented is an entirely new, yet still soberly scientific way to look at human nature -- one that demands a revolutionary reinterpretation of human history and human behavior.